The Gustavus Wind Orchestra, under interim conductor James Patrick Miller, welcomes guest conductor Timothy Mahr to Christ Chapel for its final 2009 performance on Saturday, May 2. The concert includes a premiere performance of This Dark World by junior David Mann, and soloists Hanna Schutte, xylophone and Abbie Johnson, piccolo. The concert begins at 3:30 p.m. in Christ Chapel and is open to the public at no charge. The Gustavus and Vasa Wind Orchestras will appear in concert, conducted by Douglas Nimmo, Friday, November 16 in Christ Chapel on the Gustavus campus. This joint concert begins at 7:30 p.m. and is free and open to the public. The 19th annual Gustavus Honor Band Festival returns to the Gustavus Adolphus College campus Monday, November 5. The Festival Concert, conducted by Douglas Nimmo with the Gustavus Wind Orchestra and over 100 high school musicians from around the state, Iowa, Wisconsin and South Dakota, begins at 7:00 p.m. on Monday in Christ Chapel. The concert is free and open to the public. Home concerts by the Gustavus Choir, Wind and String Orchestras kick off the spring music season this weekend on the campus of Gustavus Adolphus College in St. Peter. With the Gustavus Choir's return from Spain and Portugal and the wind and string orchestras' recent mid-western tours, the three ensembles open the spring semester with their annual Home Concerts on Saturday and Sunday. The Gustavus and Vasa Wind Orchestras, from Gustavus Adolphus College, will join to present their fall concert in Christ Chapel, Friday, November 10, beginning at 7:30 p.m. This performance, directed by Douglas Nimmo, includes a work dedicated to the work of long-time conductor Myron Falck who passed away earlier this year. Returning to campus after concert tours that spanned central Europe and the Midwest, the Gustavus Wind Orchestra and Gustavus Choir will present their annual Home Concerts in Christ Chapel on Saturday, February 11. 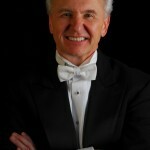 The Wind Orchestra, under the direction of Douglas Nimmo, opens the afternoon with its concert at 3:00 p.m. The Gustavus Choir and conductor Gregory Aune complete the day with a concert beginning at 7:30 p.m. Both events are free and open to the public. As the final event in a week-long artist-in-residency, New York Philharmonic Orchestra's Principal Oboist Joseph Robinson will appear as guest artist with the Gustavus Wind Orchestra, Saturday, April 30, at 7:30 p.m. in Christ Chapel.